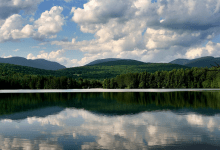 This summer, New Yorkers looking to stretch their legs in cooler climes might consider going beyond the usual Catskills or Hudson Valley towns and visiting New Paltz, a town of about 14,000 in Ulster County, 90 minutes north of NYC. New Paltz is perhaps best known for its hippie-ish college, SUNY New Paltz, and its historic, luxe resort, Mohonk Mountain House. 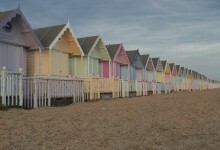 But the town has much to offer outdoors enthusiasts of every budget. It sits in the foothills of the Shawagunk Mountains (AKA "The Gunks"), which makes for excellent rock climbing; for climbers, hikers, and cross-country skiiers, New Paltz borders two massive stretches of protected land, Minnewaska State Park and Mohonk Preserve. And for New Yorkers less inclined to work up a sweat on their summer break, New Paltz's downtown area offers upstate quaintness and college town cool, with antique shops, wine bars, restaurants, and farmers markets. It doesn't really fit the stereotype of a sleepy country town, says Keith Woodburn, who with his wife owns the New Paltz-based Church Street Realty Services. "It's certainly influenced in many ways by its proximity to NYC," he says. "We have weekenders, college students, and families all living side by side, which adds a level of energy that you don't necessarily get everywhere." Though New Paltz is energetic, it isn't "Brooklyn North," an honor that has been bestowed--for better or for worse--upon nearby Kingston. Instead, New Paltz provides a welcome break to weary city dwellers, with many visitors from NYC drawn by its bucolic vibe. Laurel Sweeney, a broker with Ulster County's Nutshell Realty, says that agritourism has become more prominent: "It's at an all-time high. To be able to pick your own fruits and vegetables, go hiking, visit farms--it's huge." 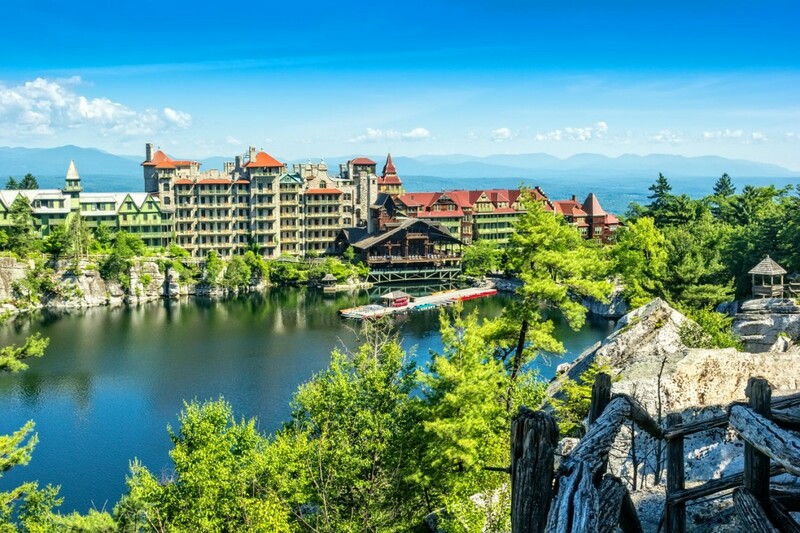 Mohonk Mountain House is its most famous attraction; the sprawling, luxury resort was built by Quakers in the early 1900s and over the years has played host to presidents and captains of industry. Today, a stay in one of its rooms--which includes three meals and access to most of its activites--can run you up to $500 per night, but there are also day pass packages that allow visitors to use hiking trails and the spa, and go kayaking on Lake Mohonk. One popular (and arduous) hike on its 1,325 acres is the Labyrinth and Lemon Squeeze, a 5.5-mile journey that rewards you with some stunning views--but will cost you $21 to access. Cheaper alternatives can be found in nearby Minnewaska State Park, where it costs $10 to park; beyond that, there are no fees for exploring its trails, waterfalls, and lakes. Lawrence O'Toole, who owns a real estate brokerage in the area, adds that New Paltz is a quick jaunt to the Hudson River, where a new walkway spans the waterway between the towns of Lloyd and Poughkeepsie--a scenic option for those inclined toward traversing more level terrain. Woodburn points to more low-key options in New Paltz's downtown, like the Water Street Market along the Wallkill River, where you can do some antiquing at the Antiques Barn and sip wine at Jar'd wine bar. On Church Street, you'll find an open-air market with bookstores, record stores, cafes, restaurants, and bars like Huckleberry, which features a beer garden and upscale new American food. "Everything is walkable, which is really appealing to a lot of vacationers," he says. Food-wise, the Main Street Bistro is a popular breakfast spot with both locals and vistors; you'll also find options for Japanese, Italian, Mexican, Vietnames, and Thai cuisine. Sweeney recommends the Village Tea Room, a restaurant and bakery emphasizing local ingredients, and O'Toole says Lagusta's Luscious chocolate shop is definitely worth a stop. And, Sweeney adds, on the north side of town you'll find the Bradley Farm, where owner Ray Bradley, a chef-turned farmer, sells fresh produce and other products. New Yorkers might recognize him from the Grand Army Plaza farmers market, where he sets up shop on the weekends. Note, though, that once you're in town, getting around without a car can pose some challenges; Ulster County transit does offer bus service, but the network is not extensive. For short-term rentals, a stay at Mohonok Mountain House is the "ultimate," Sweeney says. A more affordable option is the Minnewaska Lodge, at the base of the preserve in the neighboring town of Gardiner; rooms start at $194 per night during the summer. 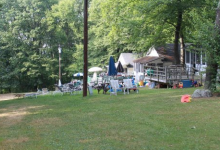 There are also several B&Bs, and O'Toole recommends Moondance Ridge, which is close to town and has five rooms in different styles; rates for the summer start at $229 per night. Many short-term visitors choose instead to rent Airbnbs. "Historically, there's been a shortage of hotel rooms for the peak vacation times, and Airbnb kind of filled that vacuum," Woodburn observes. For July, options range from $60 campsites on a vineyard to a rustic-chic log home previously featured in the New York Times for $269 per night. These days, New Paltz is attracting both second home buyers, and New Yorkers who rent in the boroughs and want to own their own retreat upstate. Some locals, too, spend the majority of their time in New Paltz but commute to the city a few days a week. That said, the market for buyers here is fast-paced. 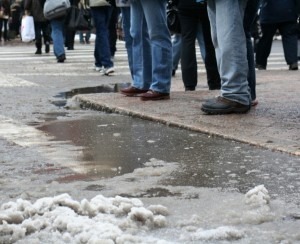 "It's not easy to find properties, especially in this fast market. They fly off the shelf pretty quickly if properly priced," O'Toole says. On the bright side, the pricing should come as welcome news to New Yorkers: "You can find really nice second homes starting in the low $300,000 range," he says. Sweeney says the price range for New Paltz houses is quite large, from $100,000 to $1 million, and Woodburn adds that there's an eclectic array of architectural styles as well, from ranches to Colonials to Victorians. He pegs the average home price at $275,000, but agrees with O'Toole that the market is oriented toward sellers now. "Like the rest of the state and country, there's low inventory," Woodburn says. 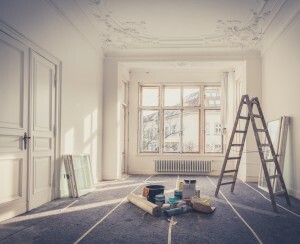 "Compared to last year, inventory is down 20 percent, and the number of closings is up almost 30 percent, but prices are up only 5 percent." 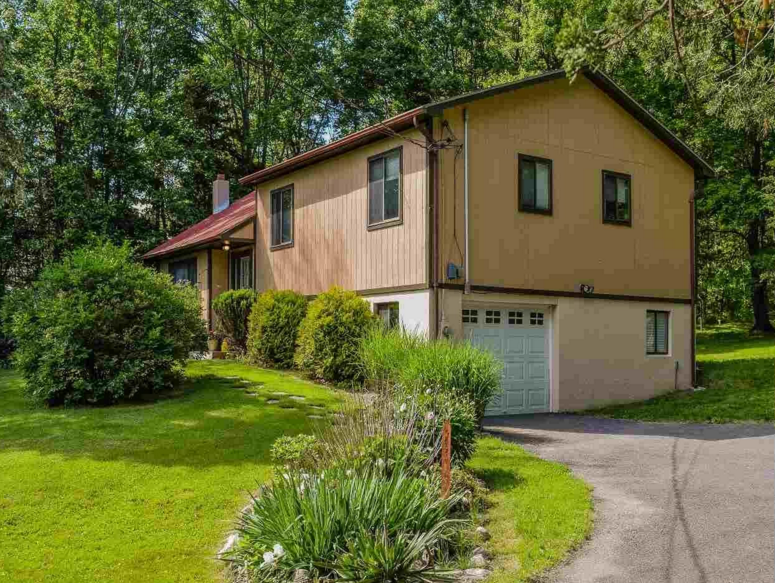 6 Hickory Hill Road, New Paltz: A three-bedroom, two-bath on 1.06 acres, featuring a living room with cathedral ceilings, an open kitchen and sunny dining area, a den, and large backyard with a deck, shed, and garage. Asking price: $299,000. 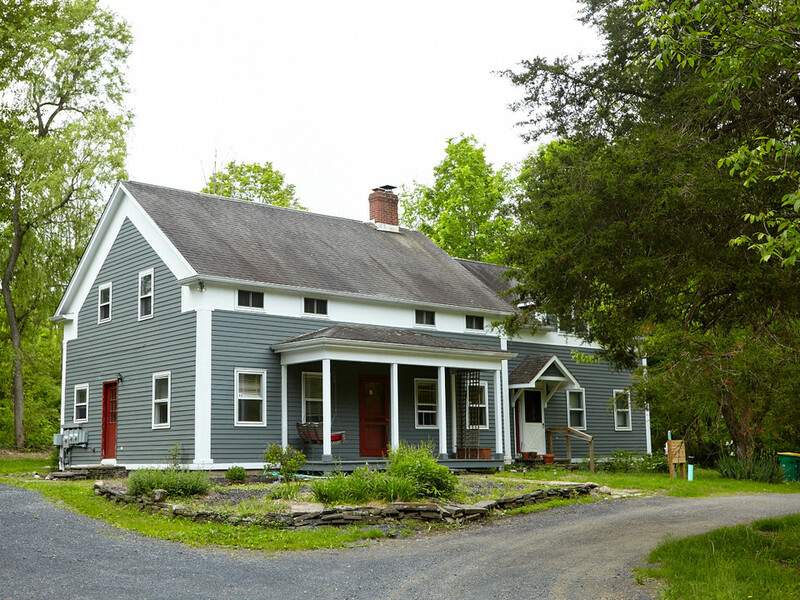 8 Bridge Creek Road, New Paltz: A four-bedroom with two full and two half baths, this colonial, a short walk from Wallkill Valley Rail Trail, sits on five acres and includes a spacious kitchen, spiral staircase, and office space; a red barn on the property includes an apartment that can be used as a guest house. Asking price: $550,000. 360 Springtown Road, New Paltz: This four-bedroom, four-bath, 4,400-square foot home sitting on 16.4 acres of land comes with a gourmet, eat-in kitchen, plus a balcony and backyard with an in-ground pool, a pond, and vegetable garden. Asking price: $649,000. 555 Albany Post Road, New Paltz: At the high end, this four-bedroom, four-bath home was designed by a top architect and is only a 10-minute walk from Mohonk Mountain House. You'll find a huge wraparound balcony, a luxe open kitchen, indoor and outdoor fireplaces, and in-ground pool. Asking price: $1.495 million.